You love your girl-squad! They are your go-to ladies for coffee and chit chat, a fun shopping spree, a pampering mani/pedi date, and of course heart-to-hearts. Here are some fabulous gift ideas for your dolls, all under $100! And hey, have you signed up for my newsletter yet? SIGN UP FOR FSBF NEWSLETTER & GET SALES ALERTS & COUPON CODES THROUGH THE HOLIDAYS! I know I would love to get any of these gifts! Have you started your holiday shopping yet? I’m starting this week. Buying for the girls is always my favorite part of holiday shopping! Men are so much harder to buy for, right? Nevertheless, I will do a men’s gift guide soon, as well as a gift guide to help men buy special gift for their wives! Have fun shopping, my fun fabulous readers! 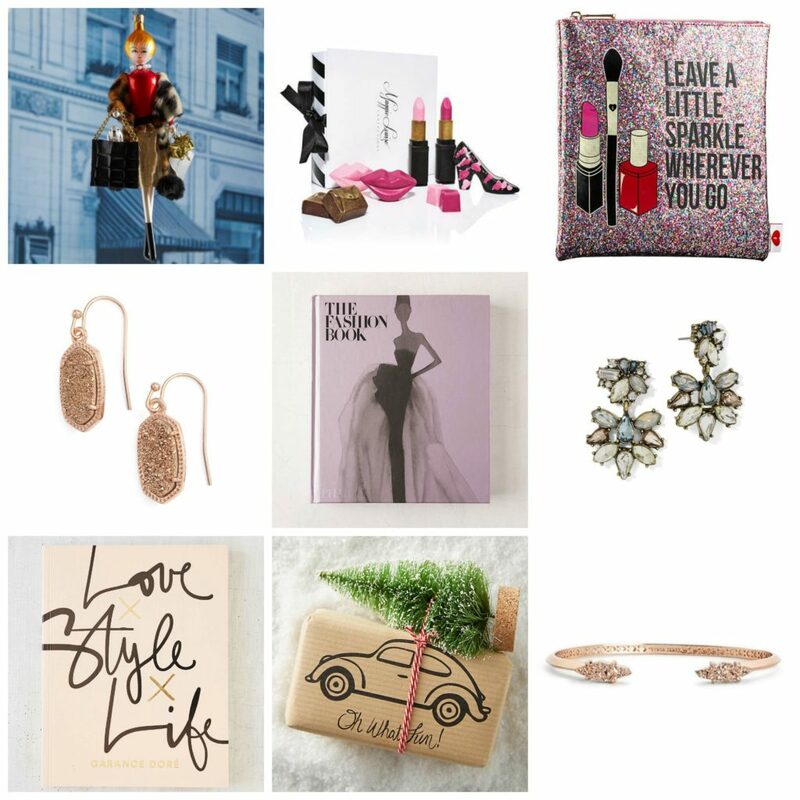 What a fun round-up of girly gifts! Thanks for all the fun ideas! Lovely time of the year. Thinking about what presents to buy . I am always drawn to key chains! Ill take the fuzzy slippers and velvet clutch! Love the ideas and reasonable too Thanks for sharing. A gift guide is on my to do list today! YAY!! Thank you for such great gift suggestions for gals! Love everything on this list. so many cute ideas! I love all the glitter gifts haha. so cute!